The name “BGVP” may not tell you much, but the company has been on a steady climb to notoriety as of late with a few products that cover all tiers from entry-level to premium and encompassing every earphone category from earbuds to hybrid IEMs to multiple balanced armatures monitors. The BGVP DMG is part of the second category, sporting two dynamic drivers and four balanced armatures per channel. Solidly placed in the midrange, the BGVP DMG has a few cards up its sleeve that make it really interesting: its good tuning and great build make it especially enticing. Disclaimer: I would like to thank Lillian at Linsoul Audio for providing this sample free of charge. Linsoul sells the DMG on AliExpress and Amazon at $139. The only thing the BGVP DMG lacks is a case to store it away. 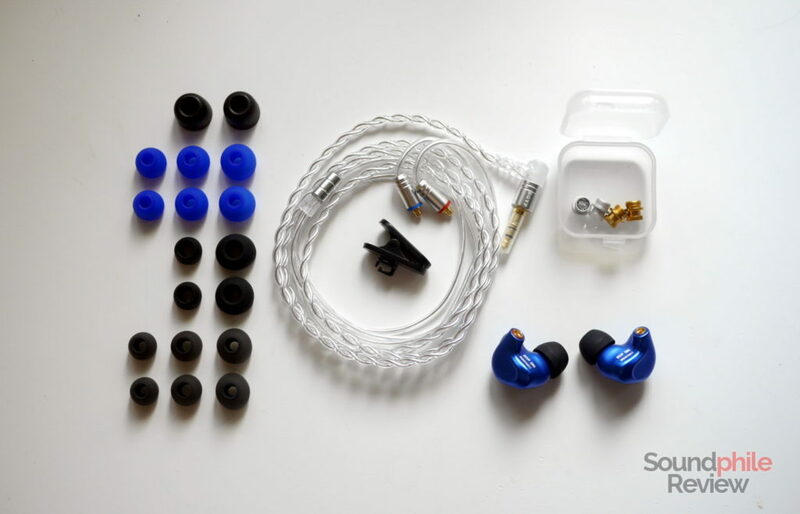 Everything else is included: there is an SPC cable with MMCX connectors on one end and a 3.5 TRS jack on the other, plus a boatload of eartips including three pairs of foam tips and six pairs of single-flanged silicone tips. There is also a plastic box where two acoustic filters are placed. It is not as convenient as having a tray, though. The BGVP DMG are surely original when it comes to design: they’re an odd mix of rounded and straight lines. The general shape of the shells is triangular, but there’s an added protrusion on one side that makes it really odd-shaped. The shells are made of aluminium and are ergonomic, as they mimic the shape of the pinnae to fit better. They’re not small, but they’re not large either – the KZ ZS6 or KZ ZS10 are way larger. Be it because of the shape or colour (the unit I received is electric blue), the BGVP DMG does not go unnoticed. It has in fact a distinctive design that sets it apart from all the other headphones I tried – maybe KZ and other copycats could take some notes. Build quality is great as everything seems solid and well-built, with quality materials that appear to be made to last. The BGVP DMG use MMCX connectors and sport a filter system which is not unlike that found on the RHA T20i or the IMR Acoustics R1: there are three filters, each made to alter the sound in a specific way. You can easily replace them by unscrewing the one installed and then screwing in another one. More detail on those later on. Comfort is definitely above average and right on par with the aforementioned RHA T20i, which are among the best I’ve found to this day. Comfort is extremely personal, so what works for me may not work for you, but I think the BGVP DMG are decently universal as their rounded shape and small size could make them comfortable to a lot of people. The BGVP DMG can only deal with low ambient noise, as its passive isolation is limited independently of the eartips being used. Public transport is a typical situation where isolation is put to the test and the DMG is not the best you can find on the market – you can always hear the surroundings clearly, even though the volume is in fact reduced. With limited noise, however, at home or at a (quiet) office, the DMG can effectively shield you from the rest. 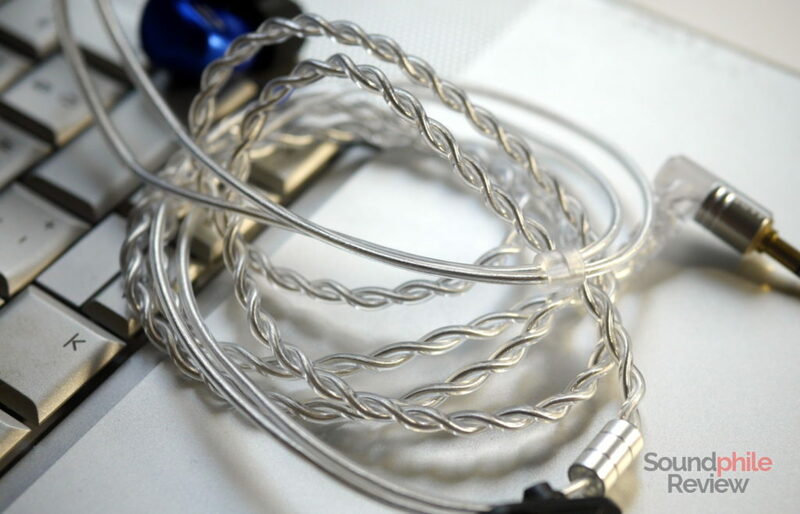 The cable is silver in colour and really malleable: it’s so soft it bends easily, and the rubbery plastic that encloses it is soft, too, so much so that clipping it with a fingernail leaves a mark. It’s otherwise well built and definitely remarkable for a stock cable. The only downside is that the plastic is really smooth and makes the chin slider slide down making it almost pointless. This is the equipment I tried the BGVP DMG with: Topping DX7, Topping D30 feeding a Venture Electronics RunAbout 2.0bl, Cayin N5ii and Aune M1s. 100 hours of break-in were applied. Source files were mostly standard-res FLACs. I used an iFi IEMatch with desktop sources. BGVP used two dynamic drivers when designing the DMG, and they coupled them with four balanced armature drivers. The company claims the balanced armatures were designed and tuned exclusively for them, so they are not off-the-shelf components from a known manufacturer such as Knowles. What’s sure is BGVP did a good job in tuning the armatures, as the final result is remarkable in terms of balance and detail. There is no doubt the BGVP DMG is a compelling product from an acoustic standpoint. 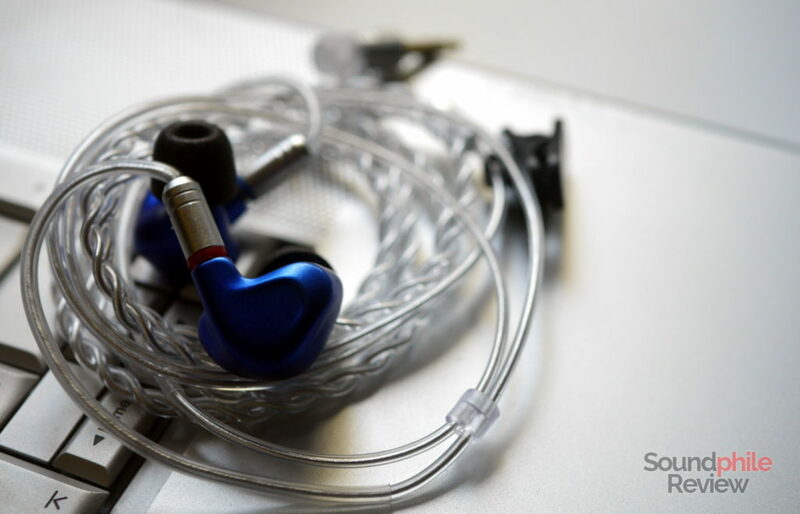 They have a balanced signature with a touch of brightness and a very capable technical section that set them apart from many earphones sold at a similar price. The most impressive features of the BGVP are bass depth and instrument separation, which are outstanding. A positive note goes to dynamic range, which is really extended and displays even faint sounds – think musicians breathing, keys being pressed on brass instruments, etc. Soundstage is very large and has good depth, too, so sound is distributed on a wide front that extends also in front of the listener. It’s not a very large concert hall, but it’s a decently large room – which is quite good for a closed-back IEM. Imaging is also very good and places instruments across the soundstage with great accuracy that makes it easy to distinguish them due to positional cues, on top of the great instrument separation that does a wonderful job in making each instrument stand out no matter how intricate and layered the track is. In fact the BGVP DMG is not a basshead IEM, yet it has enough bass to satisfy bassheads as it is powerful and deep. It reaches down to 20 Hz, though its volume is relevant from 30 Hz, so it really touches the bottom of the audible spectrum giving sound a full body and some real depth. Tracks that dig down the frequency range, such as Massive Attack’s Angel or The Battle from the Master and Commander OST, benefit immensely from this extension as they sound full and everything is correctly represented. There is also no clear emphasis on a specific section so it sounds convincingly flat. Not only is bass well balanced and deep, but it is also high quality: it has that nice sense of impact that makes it thump, as it is fast and precise and gives a lot of energy and immediacy to transients. Thanks to the presence of a lot of detail, bass is really well textured irrespective of how complicate layering is. Midrange is very well balanced and it is right there with bass and treble. There is just a slight emphasis on the upper midrange, which in turn allows wind instruments, and especially brass instruments, to stand out as especially vivid and this also exposes their high level of detail better. The good balance BGVP achieved, though, make every instrument sound just right without any specific preference or bias; instruments that have a lot of presence in the upper area stand out more, but that’s it. Speaking of the level of detail, it is really high and it shows many micro-details and nuances – as an example, the bouncing of leather on drums in the aforementioned The Battle. This gives midrange a good sense of realism and makes it especially engaging. On top of this, midrange is also very fast and this makes percussions and plucked instruments pop out and sound especially convincing. Treble is detailed, present and extended. There’s actually nothing wrong I can find in the treble range of the BGVP DMG, as it has enough presence to get the attention it deserves, has a great level of detail that allows even for small details to be easily heard (e.g. brushes on snares) and has good extensions that makes it airy and spacious. BGVP definitely got it right! silver filter: the silver filter makes bass a tad more prominent and tames treble a bit, while leaving the midrange mostly unaltered. The resulting signature has a touch of warmth that makes it more suited for acoustic recordings. gold filter: this filter tames bass a bit and makes midrange come further forward, so that it is much more in the spotlight. It also adds a slight bit of warmth to the midrange, while also boosting treble a bit. Differences are never large and are instead nuances that slightly modify the base sound – in other words, differences are subtle and not always apparent. 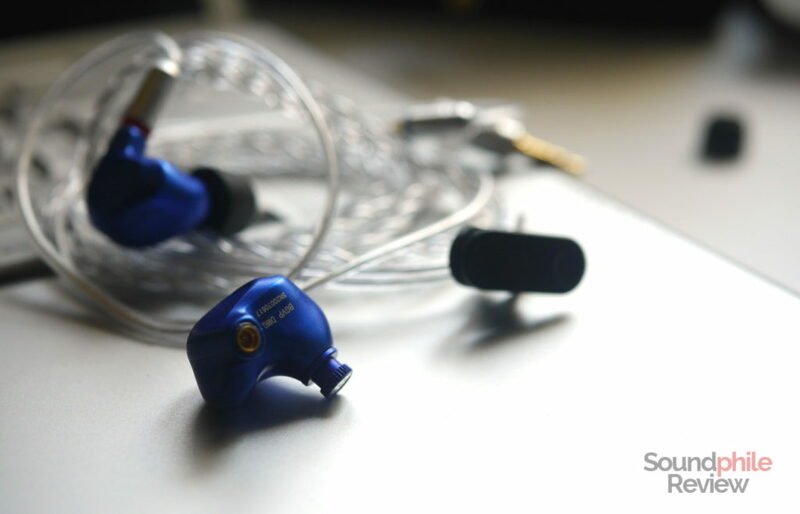 The differences brought by RHA T20i’s filters are much more apparent. Generally speaking, there are no genres that the BGVP DMG excel in or, viceversa, that they are not good at. Their great balance means they can be used to listen to jazz, metal, trance, rock, pop or anything else with the same good results. 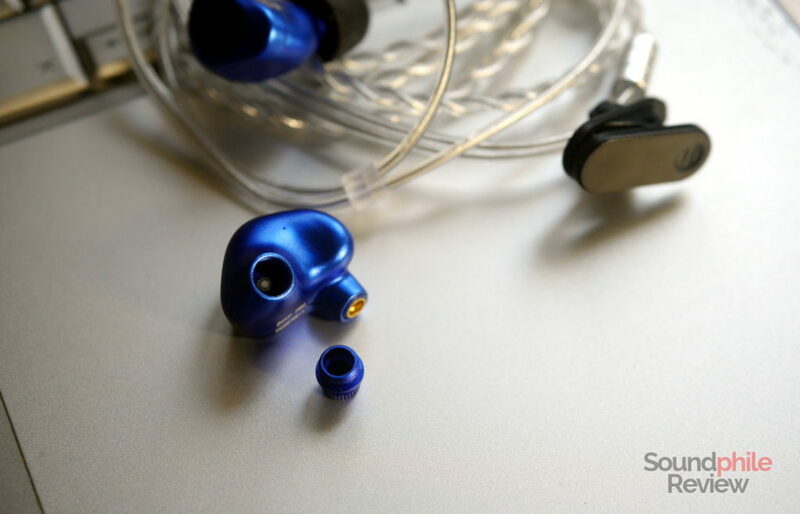 RHA T20i (with treble filters): the T20i are unbeaten when it comes to clarity, yet everything else is inferior to what one can find in the BGVP DMG. Be it bass depth and control, midrange and treble detail, speed, soundstage width or instrument separation, the BGVP do it better. The only thing which they can truly compete with is imaging, which the T20i get quite right and similar to the DMG’s. But I can say that everything sounds just better on the DMG. 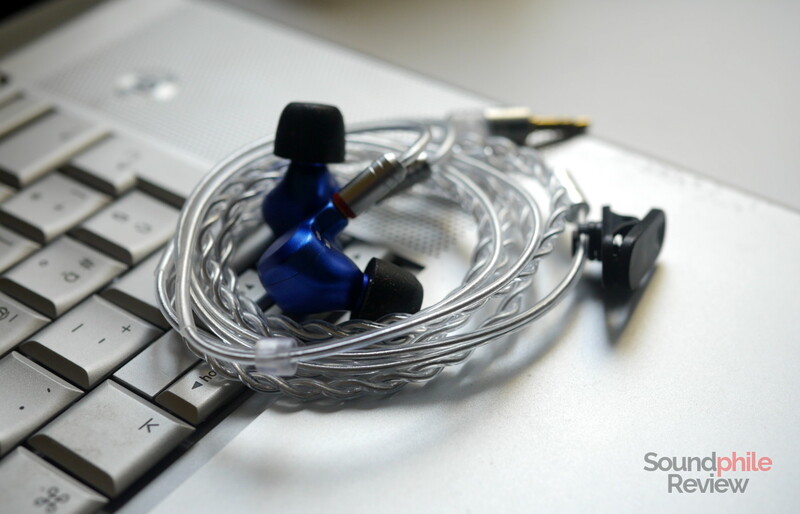 Tin Audio T2: the T2 are similar enough to the DMG, though they’re a bit brighter and they lack bass in comparison. They’re very similar in terms of technical ability, which is quite surprising given they retail for almost a third the price of the DMG. We may say they are a brighter version of the DMG in more than a sense as the two are very similar. IMR Acoustics R1 (with blue filters): though they’re about $500 apart, the IMR R1 and the BGVP DMG share a few similarities. The IMR R1 are actually very good when it comes to bass and midrange; they have similar bass extension and a great tonality when it comes to midrange, with lots of details in both areas. Bass control is also great and better than on the DMG. The true differences are however in treble: the DMG have it much more present and at times even prominent, with detail that is much more apparent, while the IMR R1 seem more quiet and less detailed at first – but truth is there is a great level of detail, just not as apparent as treble is more in the background. In terms of soundstage and imaging, the R1 win by a good margin, but the two are comparable when it comes to instrument separation. The BGVP DMG are, by all means, great headphones. They are fun and engaging, yet they are very well balanced and strive towards neutrality, with a bit of brightness that add clarity. Their technical section is impressive as they have great detail retrieval, large soundstage, very good imaging and superior instrument separation. They add great build quality, removable cable and a filter system to the mix, resulting in one of the most interesting sub-$150 headphones on the market right now. If this seems too good to be true, rest assured it is not – in fact the BGVP DMG are quite the revelation and it’s surprising to find such a good product at an affordable price point. At ~$140, they are in fact solidly in the lower midrange and while they are not cheap, they’re still fairly priced for what’s on offer – well, they are quite a bargain, truth be told. They have my recommendation – check them out! Just a heads up, the Gold filter is the bass filter and the Silver filter is the Treble filter. Your review has them mixed up. Well, I did not know which filter was which, so I just wrote what I heard – we may say it was a blind test.